Back to the code, and the task in hand. Making the game in the way that I planned. Using the sprites that I already drew. 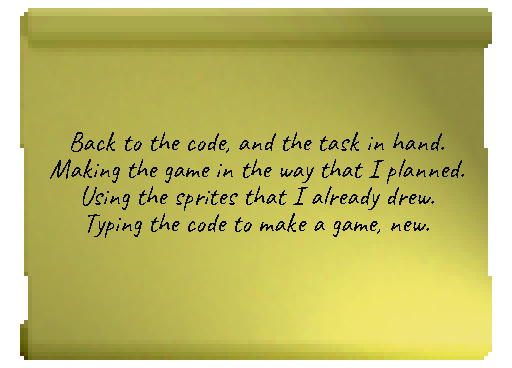 Typing the code to make a game, new.